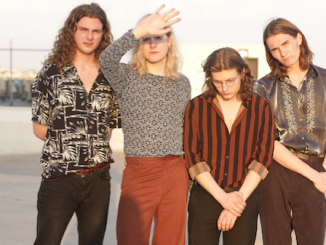 Sundara Karma has today unveiled details of forthcoming album ‘Ulfilas’ Alphabet’, released a new single and announced an extensive UK 2019 tour. Last night saw a new track from their sophomore album revealed as ‘One Last Night On This Earth’ was premiered on Radio One as Annie Mac’s Hottest Record. A dazzling ride exploding with joyful abandon, the song immediately signalled another quantum leap forward for the Reading four-piece. Steeped in science fiction imagery beautifully filtered through everyday emotional heft, ‘One Last Night On This Earth’ shows frontman Oscar Pollock’s songwriting continues to develop far beyond his years – a style that’s playful, yet never superficial, and unveils hidden depths on repeat visits. ‘One Last Night On This Earth’ is the second glimpse from the forthcoming album ‘Ulfilas’ Alphabet’. Already unveiled last month, the album’s opening salvo ‘Illusions’ is a wonderfully twisted, psyched out groove that hints at the broad sonic textures waiting within ‘Ulfilas’ Alphabet’. 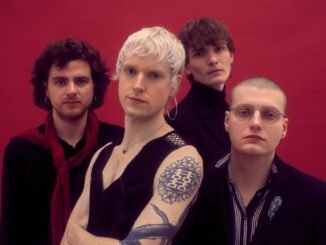 Having headlined a sold-out O2 Academy Brixton and drawn one of the weekend’s biggest crowds on the Second Stage at Reading Festival 2017, Sundara Karma last week gave live debuts to a selection of tracks from ‘Ulfilas’ Alphabet’ during an intimate Halloween-themed underplay show at London’s Omeara. Selling out in a matter of minutes, the show saw new songs and cult classic’s from debut album ‘Youth Is Only Ever Fun In Retrospect’ greeted with a rapturous response from the heaving room. Fans who were unable to get their hands on tickets will have a chance to see the band live in April 2019, as a new headline UK tour is announced today and goes on sale on Friday 9th November. ‘Ulfilas’ Alphabet’ is produced by Stuart Price (Madonna, The Killers, New Order, Pet Shop Boys) and Kaines (a.k.a. Alex Robertshaw from Everything Everything). As the band continue to step away from the confines and expectations of what an indie band should sound like, Price and Kaines’ production brings layers of sonic experimentation and textures to the band’s thrillingly grandiose anthems. 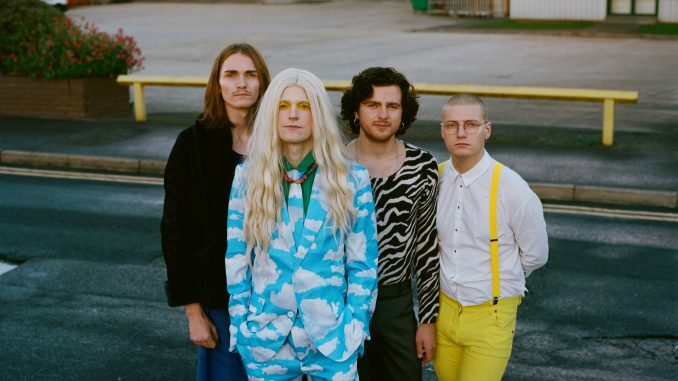 Sundara Karma are Oscar Pollock, Dom Cordell, Ally Baty and Haydn Evans.